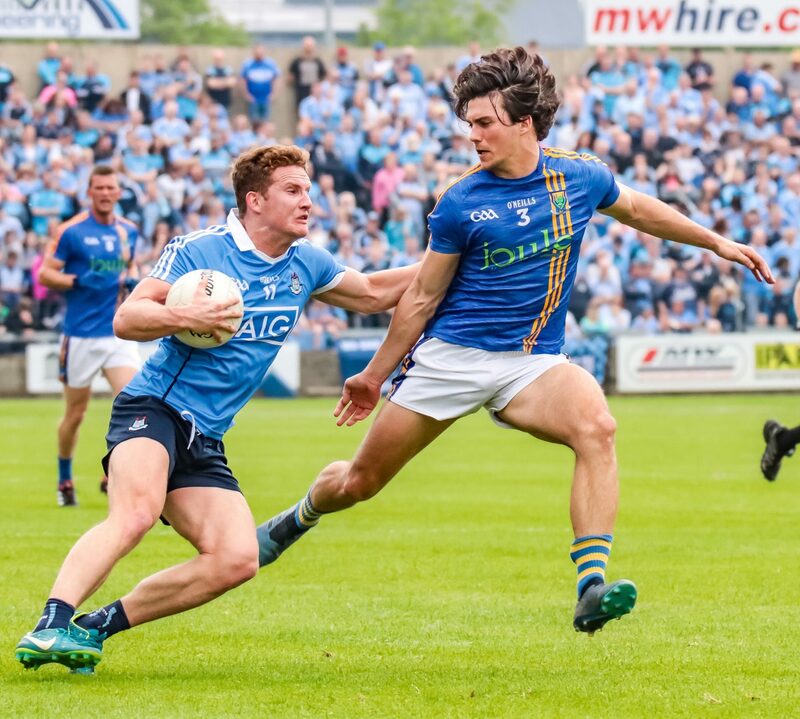 Dublin dispatched Wicklow with ease this afternoon in O’Moore Park in their championship opener and there were ominous signs for their future opponents that Dublin are as sharp and hungry as ever. Today’s game was all but over inside the opening fifteen minutes as Jim Gavin’s side raced into a 2-07 to no score lead playing some blistering football. A Dean Rock converted free and points from Con O’Callaghan and the impressive Ciaran Kilkenny put three between the sides early on. 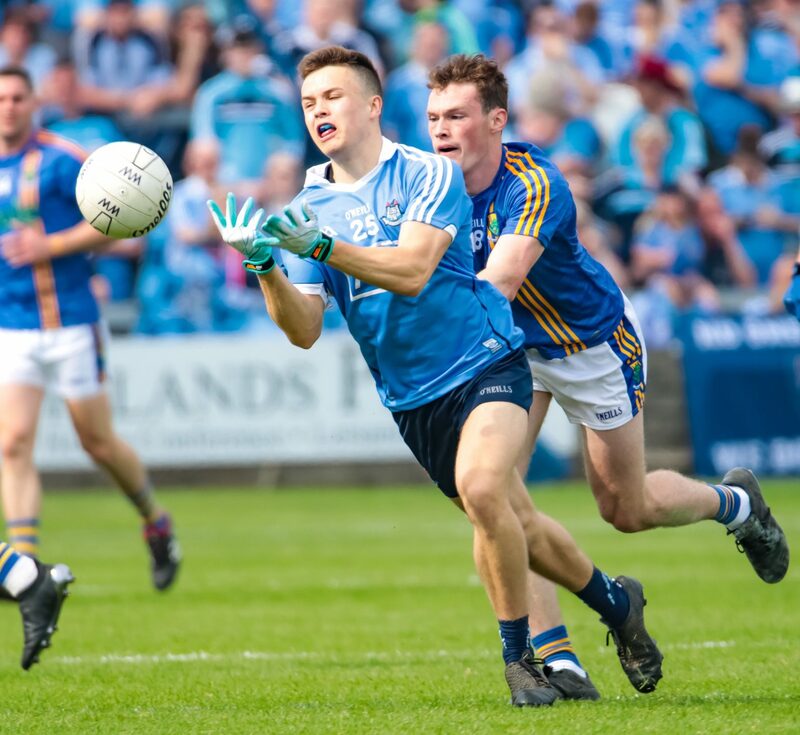 In the 7th minute that lead was doubled when Brian Fenton ghosted through the Wicklow defence and rattled the net for the games opening goal. By the sixteenth minute Dublin were almost out of sight, points from Kilkenny, Brian Howard and Philly McMahon were quickly followed by Dublin’s second major of the half. Ciaran Kilkenny played a super pass to Brian Fenton, the towering midfielder looked up and spotted Dean Rock unmarked at the back post and floated a perfect pass to Rock who palmed the ball to the net. 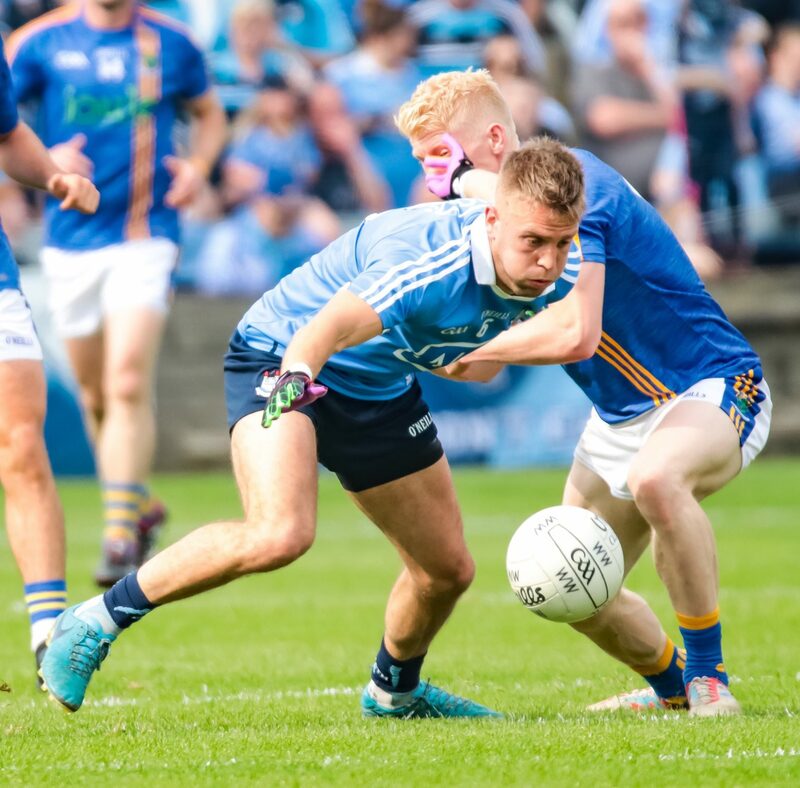 Ciaran Kilkenny added his third point of the game before Wicklow finally grabbed their first score of the match in the 17th minute from midfielder James Stafford. Stafford was switched into the full forward and it paid diffidence with ten minutes to go to the break when he rose highest to flick the ball to the net. But Dublin made sure that goal wasn’t to signal a fairytale comeback and outscored their opponents by 2-04 to 0-02 by the break. Points by Dean Rock from a free, Con O’Callaghan and two from Paddy Andrews where quickly followed by a brace of goals from Ciaran Kilkenny and Con O’Callaghan a minute apart from each other. The two solitary responses from Wicklow from a Mark Jackson converted free and a fine point from play scored by Theo Smyth left the scoreline at the short whistle 4-13 to 1-04 in the Dubs favour. Wicklow needed a miracle second half to get back into the game. A Rory Finn point just after the restart was the perfect tonic for the men from the Garden County. 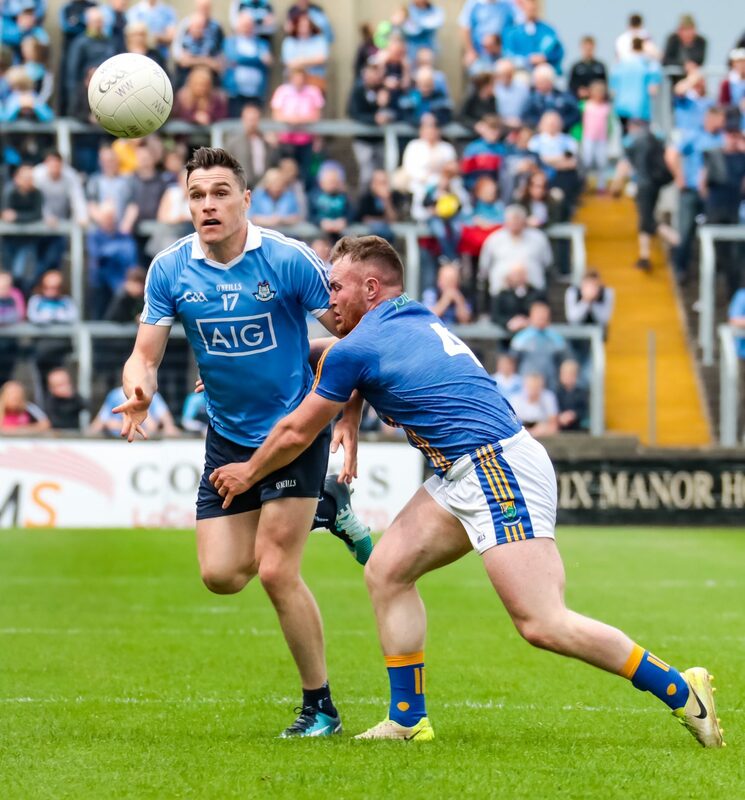 But Dublin were in no mood to give Wicklow a glimmer of hope and reeled off four points in a row in as many minutes from Con O’Callaghan, a Paul Mannion free and one apiece from Ciaran Kilkenny and Brian Fenton. Jim Gavin having already made two changes at the break bringing on Conor McHugh and Eoin Murchan for Dean Rock and Michael Fitzsimons emptied his bench. There was the welcome sight of Paul Flynn entering the fray after his layoff with a back injury and Darren Daly, Colm Basquel and Kevin McManamon were also given valuable game time. With the result of the game a foregone conclusion the frantic pace of what was a Championship opener somewhat unsurprisingly dropped. Wicklow centre half back Dean Healy scored his sides second point of the half, but that was quickly nullified by a fine effort from Paddy Andrews. In fairness to Wicklow they never let the heads drop and with the pace slowed considerably enjoyed a little more possession. A nice point from a Mark Kenny free brought a cheer from the Wicklow supporters, but three on the spin by Dublin’s top scorer on the day Ciaran Kilkenny and substitutes Conor McHugh and Colm Basquel pushed Jim Gavin’s men further ahead. The sides virtually traded points to the full time whistle Wicklow keeper Mark Jackson converted his second free of the game. Dublin went straight up the other end and Brian Fenton hit an excellent point. 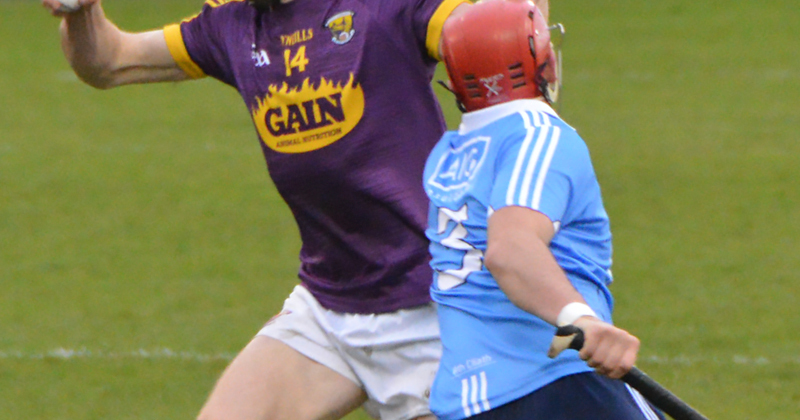 Darren Hayden was next to split the posts for the men from the Garden County, but as they had all game Dublin hit straight back with two in a row from Ciaran Kilkenny with his seventh point and Conor McHugh. As the game entered its final minutes Wicklow scored two of the own from the boot of Darren Hayden and Seanie Furlong. But fittingly it was Dublin who had the last word with Brian Fenton grabbing his third point of the contest just before the final whistle and Jim Gavin’s side as they have done for years successfully and easily navigated their championship opener. Dublin now move on to the Leinster Championship Semi Finals In a few weeks were they will face Longford who beat Meath this afternoon to book their first Leinster Semi In 30 years.